Arizona Republican Sen. Martha McSally said she was raped while she was a pilot in The Air Force during a Wednesday meeting on Capitol Hill. “I am also a military sexual assault survivor,” McSally said during a Senate Armed Services subcommittee hearing on sexual assault in the military. McSally also went on to say that she felt like the system in place hurt her as well, after she was raped by a superior office, according to CNN. “I too felt like the system raped me over again,” McSally continued. McSally, a retired Air Force Colonel and A-10 fighter pilot, was the first female fighter pilot to fly in combat. 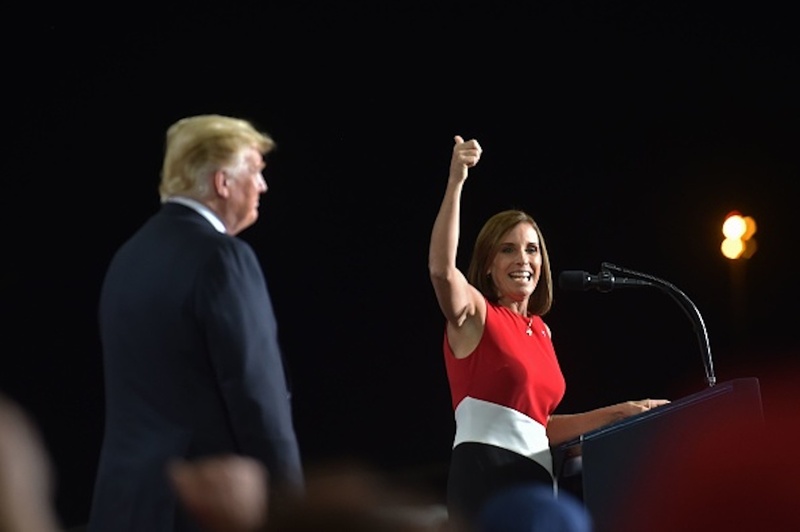 Before serving in the Senate, McSally served as a two-term Arizona congresswoman.